The first look at the phone gives us a glimpse of how the device is going to look. 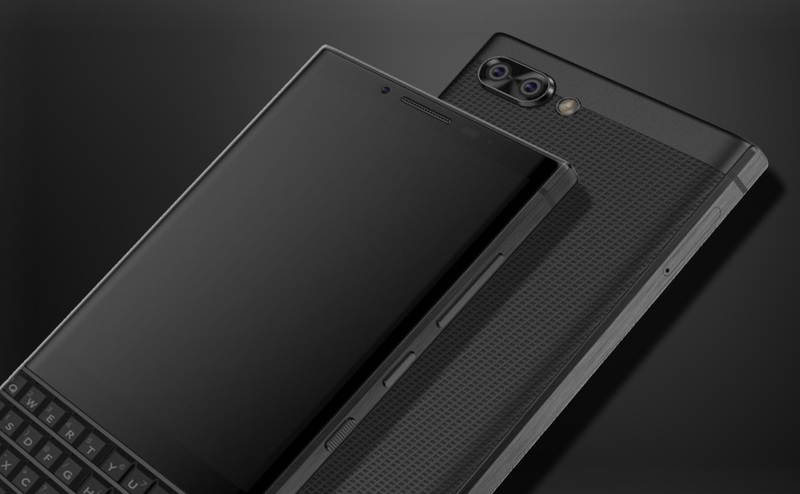 It comes with typical QWERTY keypad design resembling previous BlackBerry phones like KEYone. It also comes with dual-rear cameras and a rectangular slab design. The bottom part of the phone is dedicated to QWERTY keypad which might be touch-sensitive like the KEYone. The rear comes with the signature rugged texture that we are familiar with. It also has a dual camera setup placed horizontally. According to the previous reports, the phone is expected to be powered by the Qualcomm Snapdragon 660 SoC, with whopping 8GB RAM + 64GB storage combo as well as a 6GB RAM variant.